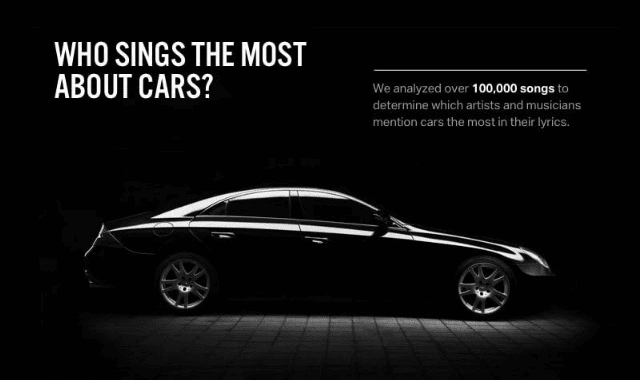 Who Sing the Most About Cars #Infographic ~ Visualistan '+g+"
Musicians have embraced the relationship between music and cars for decades, but exactly which artists sing the most about cars? To try and find out, the team at Gold Eagle analyzed 100,000 songs from the lyrics.com database. The full analysis can be seen in the infographic below.